Marvel and Star Wars announced a brand new series of comics entitled Star Wars: Age of the Rebellion. 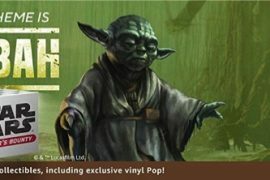 Age of the Rebellion will focus on iconic heroes an villains from the original trilogy timeline. Each comic will focus on a particular hero or villain from the Rebellion/Empire and the line up of announced comics is very impressive. 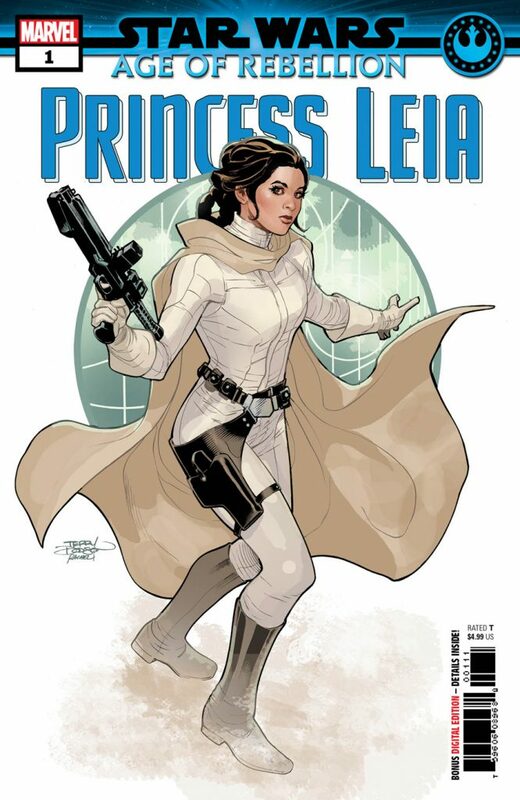 First up, releasing April 3rd, is Star Wars: Age of Rebellion – Princess Leia #1. This comic will take place after the events of Empire Strikes Back and focuses on Leia’s plan to save Han Solo from the clutches of Jabba the Hutt. 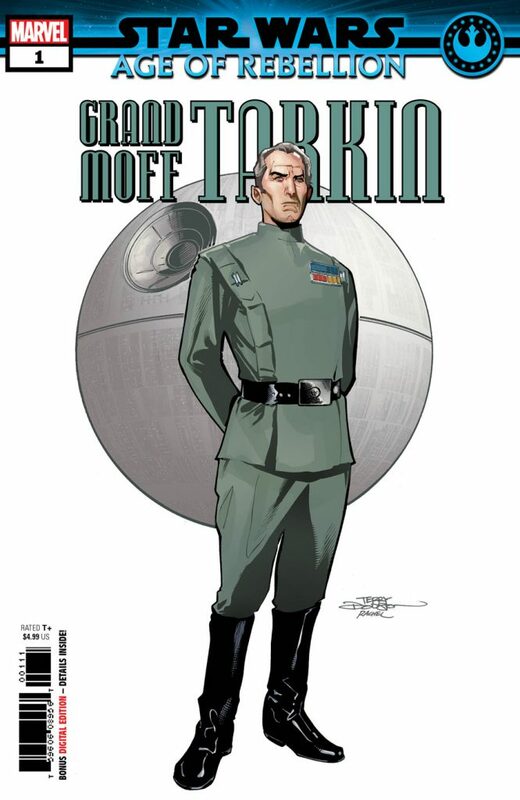 Next up is Star Wars: Age of Rebellion – Grand Moff Tarkin #1 releasing on April 10th which focuses on Tarkin’s efforts to ensure that the Death Star is up to the extremely high standards of Emperor Palpatine. We saw some of this story line play out in Rogue One, so it will be interesting to see where we will pick up with this series. 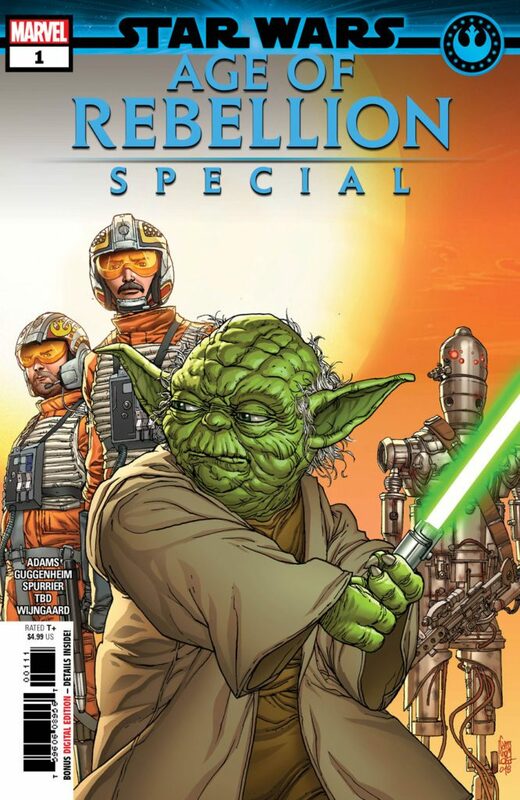 There is also a special book entitled Star Wars: Age of Rebellion Special #1 which will feature stories from 4 players in the age of the Rebellion, infamous bounty hunter IG-88, Grand Master Yoda, Biggs Darklighter, and Jek Porkins. 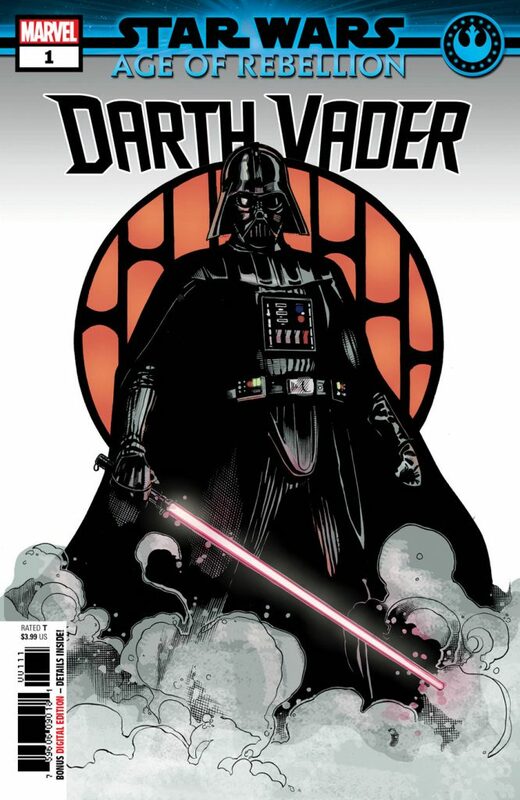 There are many more books to come after the release of the ones listed above including Han Solo #1, Boba Fett #1, Lando Calrissian #1, and Jabba the Hutt #1 releasing in May, and Luke Skywalker #1 and Darth Vader #1 in June. Prepare for tons of awesome stories, Star Wars fans.